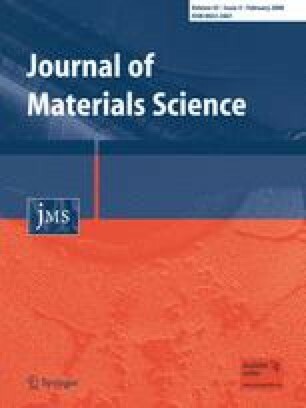 A comparative study of thermal and thermal-oxidative degradation processes for polyethylene/organically modified montmorillonite (PE-MMT) nanocomposites, prepared by the ethylene intercalative polymerization in situ with or without subsequent addition of an antioxidant is reported. The results of TGA and time/temperature-dependent FTIR spectroscopy experiments have provided evidence for an accelerated formation and decomposition of hydroperoxides during the thermal oxidative degradation tests of PE-MMT nanocomposites in the range of 170–200 °C as compared to the unfilled PE, thus indicating to a catalytic action of MMT. It has been shown that effective formation of intermolecular chemical cross-links in the PE-MMT nanocomposite has ensued above 200 °C as the result of recombination reactions involving the radical products of hydroperoxides decomposition. Apparently, this process is induced by the oxygen deficiency in PE-MMT nanocomposite due to its lowered oxygen permeability. It is shown that the intermolecular cross-linking and dehydrogenation reactions followed by the shear carbonization lead to appreciable increase of thermal-oxidative stability of PE nanocomposite, as compared to that of pristine PE. Notably, the TGA traces for the antioxidant-stabilized PE-MMT nanocomposites recorded in air were quite similar to those obtainable for the non-stabilized PE-MMT nanocomposites in argon. The results of treatment of the experimentally acquired TGA data in frames of an advanced model kinetic analysis are reported and discussed. This work is supported by Russian Foundation for Basic Research (Grant No. 06-03-08047) and Federal Agency on Science and Innovations (Contract No. 02.513.11.3161).